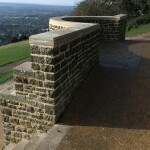 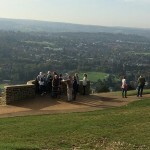 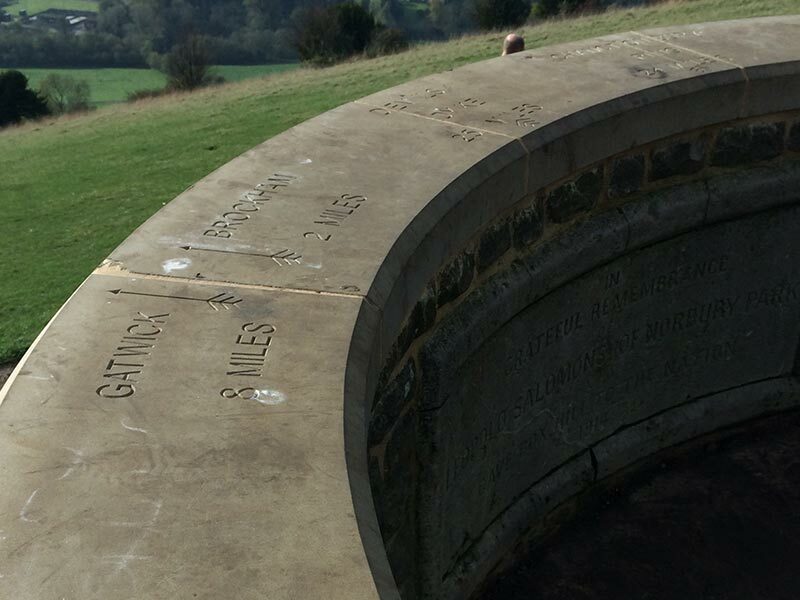 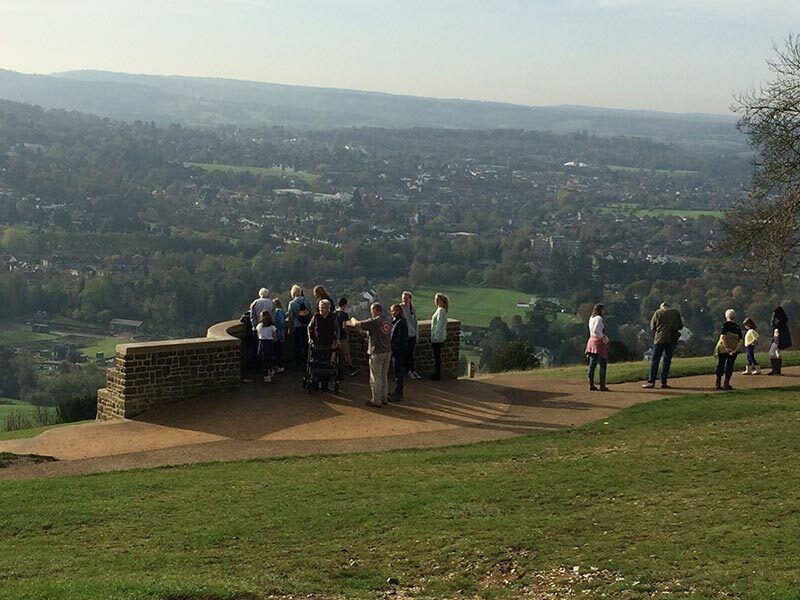 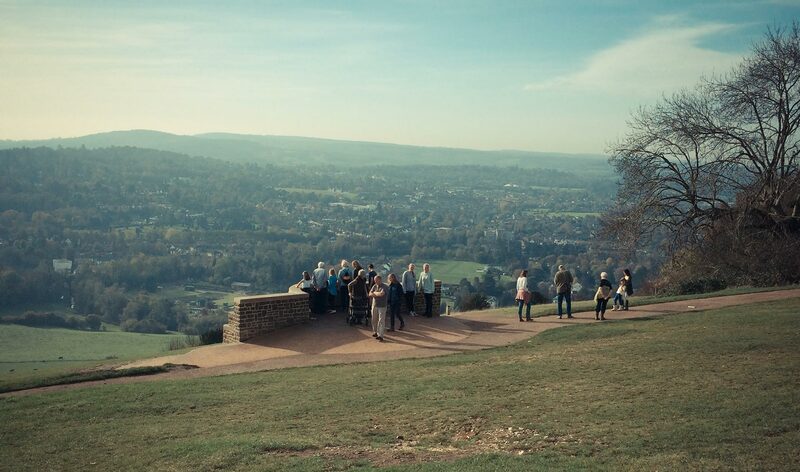 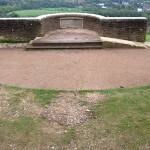 The project celebrated 100 years of the National Trust at Box Hill. 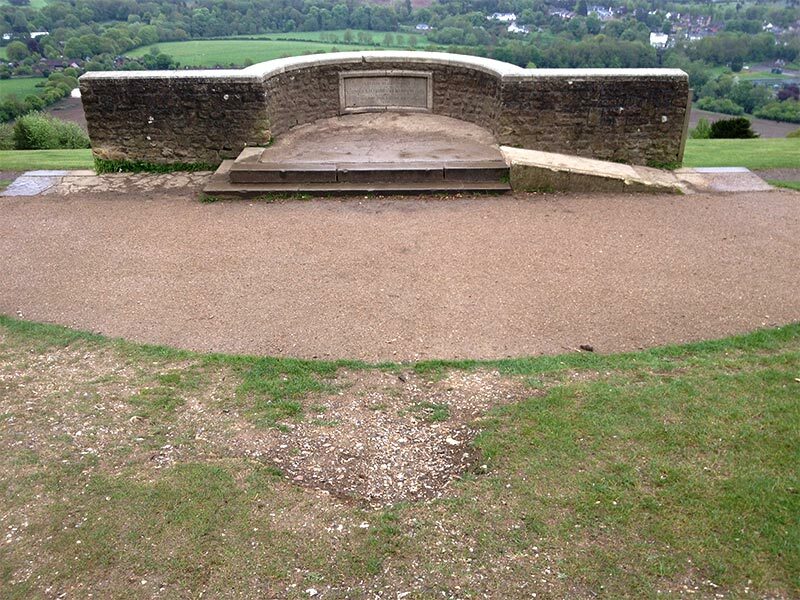 The land was given to the NT by Leopold Saloman in 1914 and the stone memorial commemorates the gift. 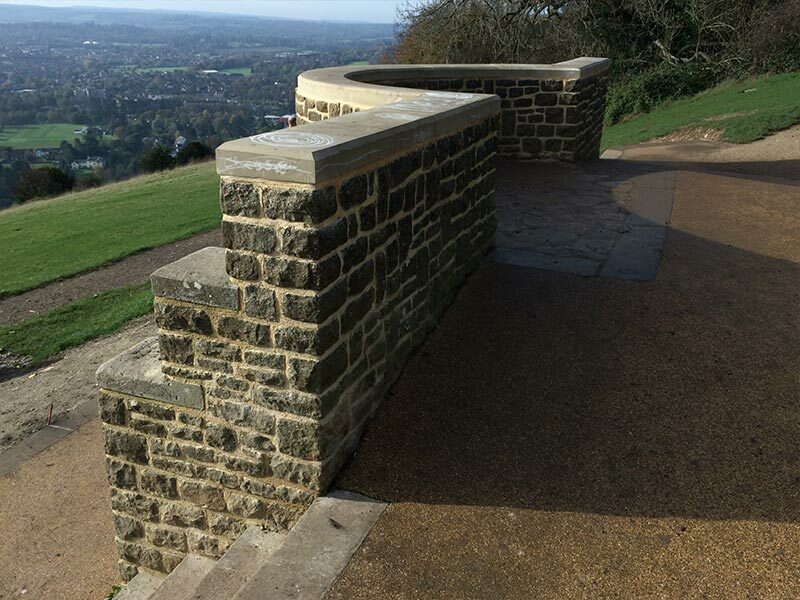 It had become run down after a series of inappropriate repairs and the surrounding hardstandings were not large enough to cope with increased footfall – especially since the London Olympic cycling road race has brought the area to international attention. 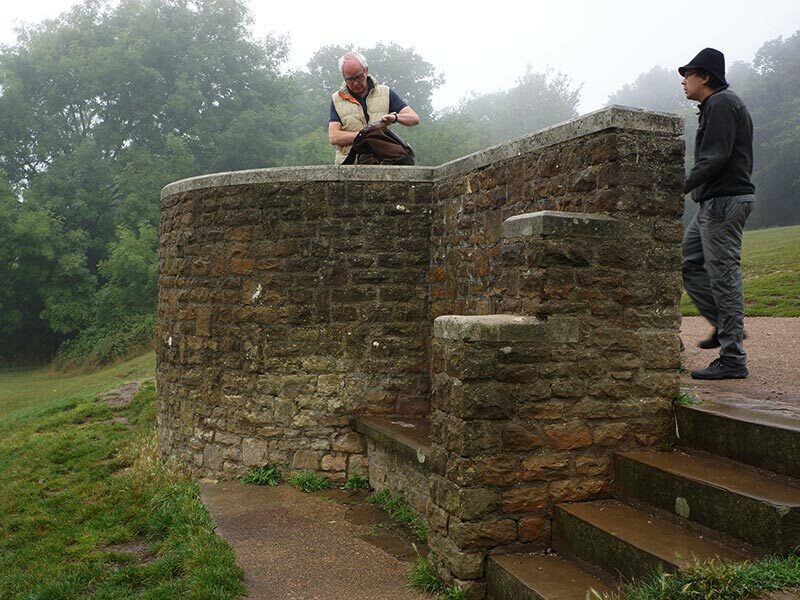 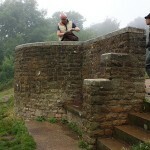 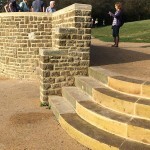 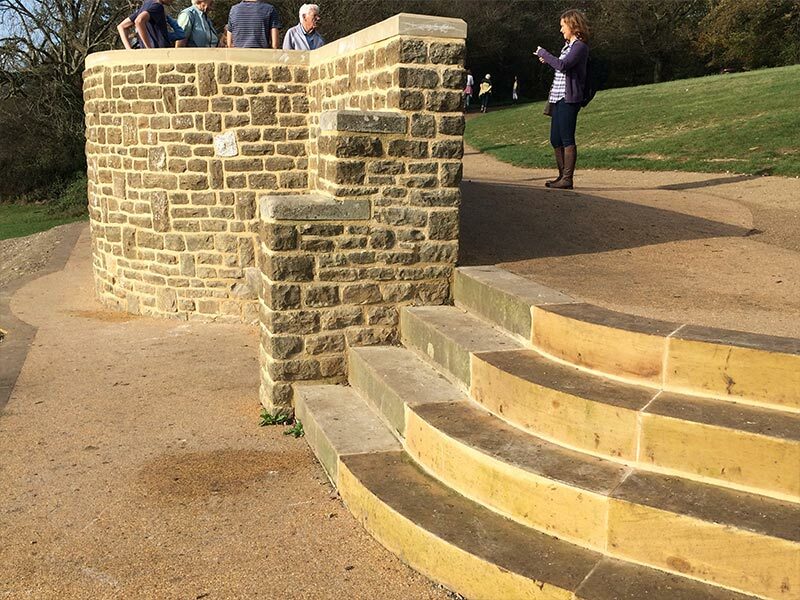 DCLA designed new stone steps and a large hardstanding as well as removing the steps up to the viewing platform. 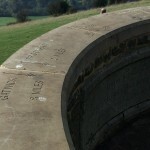 The view reaches some 25 miles.